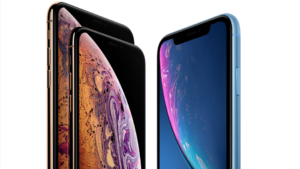 Should Your Business be Using the iPhone XS, XS Max or XR? With our commitment to deliver the most powerful business communications solutions available, it’s no question that Apple’s new iPhone lineup is the latest addition to our wireless and IoT portfolio. The most notable improvement for the new iPhone XS, XS Max, and XR is the A12 Bionic chip that can perform five trillion operations per second. This Apple-designed CPU improves performance by 15% and uses 50% less power to complete tasks. This chip features Apple’s new Neural Engine that uses real-time machine learning to recognize patterns and make predictions based on your experience. With over 235,000 business apps available, the A12 chip will analyze usage in real-time to deliver a customized experience for each unique business operation. Every new iPhone is also equipped with Face Identification, the most secure authentication software of any smartphone on the market. Apple uses their Secure Enclave, a discrete part of their new A12 Bionic chip, for end-to-end encryption. Pairing this with regular security updates, your personal and corporate data are constantly protected from unauthorized access, even from iOS and Apple servers. This 5.8-inch OLED full-screen retina display and back panel are made of the most durable glass of any smartphone and have been precision-fitted with surgical-grade stainless steel bands. The external structure is designed for wireless charging and introduces a new level of water resistance (IP68) to withstand drops and submersion in up to 2 metres of water. The iPhone XS even resists spills from coffee, tea, soda, and more. Like its predecessor, the XS features a dual 12MP wide-angle back camera and a telephoto front camera but leverages sensor and ISP technologies for 50% faster graphics performance with the most advanced colour accuracy in the industry. The new A12 Bionic chip delivers Smart HDR that goes beyond capturing four-frames of every photo and shoots ‘interframes’ between each photo to bring out more details for highlights, shadows, pixel density, and depth control. Sound and picture quality go hand in hand with iPhone XS, with 4K video and four speakers that record and playback stereo sound. The iPhone XS Max uses the same powerful technology offered in the XS but on the largest full-screen iPhone display ever, measuring at 6.5 inches. The XS Max also offers improved efficiency, giving up to 12 more hours of usage, making it a great choice for long shifts or when traveling for business. This model is also ideal for industries that need mobile access to view and process data and could benefit from a larger screen. The iPhone XR was designed with the same powerful A12 chip technology using more cost-effective materials to be the most affordable option in the new iPhone line. The XR has a large 6.1-inch liquid retina display to deliver the most advanced LCD screen in the industry. Apple used aerospace-grade aluminium to seal together the front and back glass panels for an IP67 rating for water and dust-resistance. The XR features a single lens for both the front and rear-facing cameras but still uses Smart HDR colour accuracy for enhanced highlights, shadows, and pixel density in photos and videos, just like the dual-camera has on the XS and XS Max. You also receive an identical audio experience with the same stereo sound for recording and watching 4K videos. The most noticeable difference in the iPhone XR are the additional colour options available. The XS and XS Max offer stainless steel options in silver, space grey, and gold. The XR has six different finishes to choose from including blue, white, black, yellow, coral, and red. Companies typically choose a finish to match their corporate phones with their branding colours. If you’d like more information on which new iPhone is the right choice for your business, get in touch with one of our Wireless and IoT Specialists today. For over 30 years, Nova Communications has designed, implemented, and supported wireless business solutions to become the largest communications systems integrator in Atlantic Canada. As a Bell Mobility partner, the cellular products we offer can also integrate Push-to-Talk technology to work seamlessly with an existing two-way radio fleet. This partnership also provides our customers with optimized rate plans, cell boosters for larger coverage areas, and device activations and deployments across Canada.